The unique subspecialty of pediatric orthopedics deals with the diagnosis and treatment of growing bones, joints, and muscles. This discipline uses many different treatment techniques to improve the quality of life for children. Such techniques include observation of growth, braces and splints, physical therapy, and occasionally surgery. For pediatric orthopedics, Syracuse, NY, residents can count on our pediatric specialists for gentle care and expert doctors. Upstate Orthopedics is the only practice in Central New York that has expert surgeons specializing in pediatric orthopedic medicine. Our pediatric surgeons provide specialty orthopedic care for children between the ages of 0 to 18, ranging from the most common everyday injuries to the rarest and most complex musculoskeletal conditions. Children have unique orthopedic needs, and you can count on the pediatric experts at Upstate Orthopedics to develop a personalized treatment plan best suited to your child’s needs. 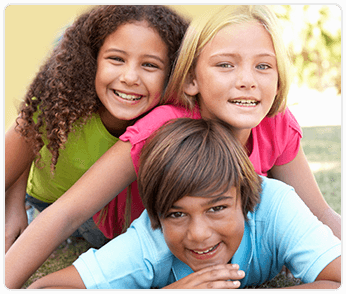 Should your child require surgery, you can depend on the experience and skills of our pediatric orthopedic surgeons. For an appointment, contact Upstate Orthopedics in East Syracuse at (315) 464-8600 today or request an appointment online.